In the beginning of the 21st century, when the notion of constant transformation is so frequently invoked, organizational change in the public sector is gaining increased attention. Responding to regulatory, economic, competitive and technological shifts, the challenge of reorganization is universal for all public organizations. 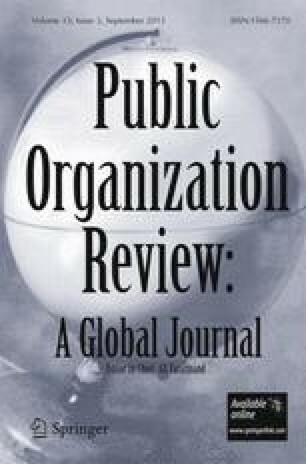 This paper aims to explore the shift from Traditional to New Public Management (NPM), as well as the driving forces (such as the information economy, the need for better public performance, the opening of global markets, greater knowledge intensity etc.) that lead to the formulation of transformational programs to Greece. A presentation of a transformational program called Politeia, will be provided, analysed and compared to previous efforts. Finally, we address the important role of leadership and management in Greek public organizations that want successful to implement any change effort successfully.